This post is sponsored by Mirum, but all opinions are 100% my own. Thanks for helping me to support the brands I love. 2.) Go kayaking or canoeing. 4.) Relax in a hammock and read that book that’s been on your list. 5.) Cook a new recipe and have a picnic. 6.) Go on a road trip. 7.) Get some of your favorite fruits (and flowers) from the farmer’s market. 9.) Watch an outdoor concert. 10.) Make homemade ice cream. In case you can’t tell, basically I love to be outdoors, especially in the summer. I don’t know what it is about summer, but I always feel like it’s the perfect opportunity to get outdoors and try something new or cross an old favorite off your list. But let’s face it, it’s HOT out there! 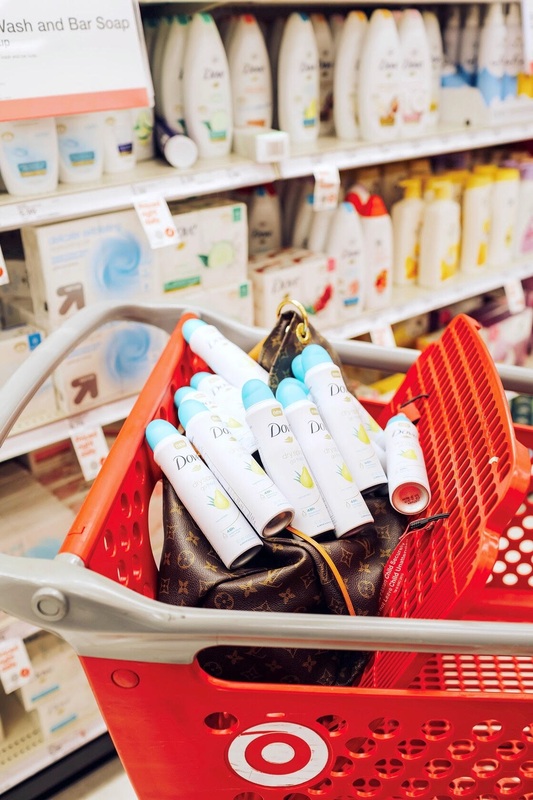 I have been using Dove antiperspirant for a couple years now, and it’s always packed in my overnight bag no matter where I go this summer. Dove Advanced Care Go Fresh Pear & Aloe Vera Antiperspirant from Target is my new favorite scent, especially for this summer. I love the invigorating pear and aloe fragrance and the dryness that the antiperspirant provides. 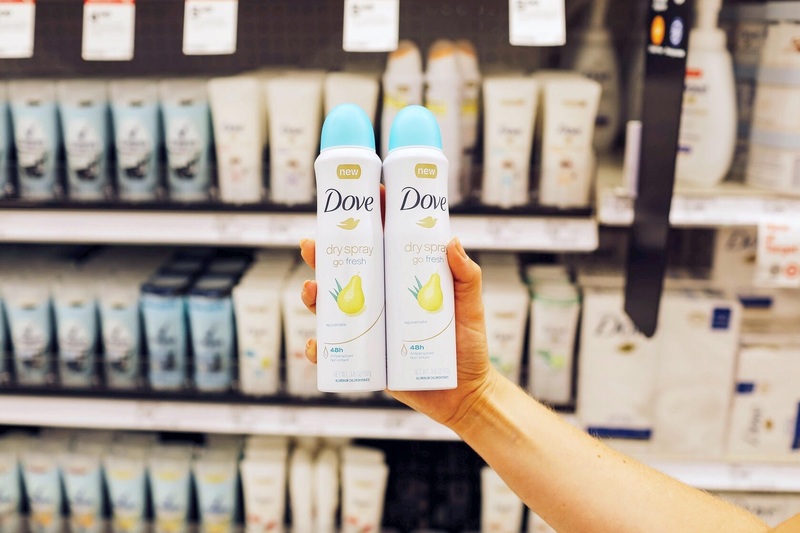 Dove Advanced Care Go Fresh Pear & Aloe Vera Antiperspirant is ideal if you’re looking for a long-lasting antiperspirant deodorant that sprays on dry and leaves you with a fresh, clean scent. It contains Dove 1/4 moisturizers and is alcohol (ethanol) free. It is dermatologically tested, and it provides up to 48 hours of protection. Right now you can save on Dove Advanced Care Go Fresh Pear & Aloe Vera Antiperspirant by buying 4 products and getting a $5 Target gift card. Offer is valid through 6/30/18. Just head into stores or online to purchase. It comes in dry spray and solid stick. Dove Advanced Care Go Fresh Pear & Aloe Vera Antiperspirant will keep you dry during those long summer days and nights. You’ve still got plenty of summer left to enjoy, so get out there and finish that summer bucket list! What about you? What’s on your summer bucket list? Have you tried Dove Advanced Care Go Fresh Pear & Aloe Vera Antiperspirant? Haven’t tried the new year and aloe, but I use another scent and it works well. Sounds like it would smell good. Love Dove!! They have the best line. Haven’t tried this scent yet though, it sounds amazing! Pear and aloe sounds like a perfect combo! I have ALWAYS loved Dove products. They never let you down. Thanks for the summer list. I Better tick everything soon as time is running out. Why I haven’t done any of these activities on the bucket list?! What is wrong with me?! lol I’m making this my bucket list now. Btw I’ve tried Dove dry spray and its fabulous. Ive been wanting to try their spray deodorant! This scent combo sounds so good! Giiiirl, your hair looks AMAZING!! Like seriously, the best it’s ever looked! And I’m in need of a new deodorant, so I’ll def be trying this Dove spray next time I’m out! I love Dove products!! I’ve not tried this scent but I have tried this antiperspirant before and been really happy with it. So many fun things on your bucket list! I’ll have to add some of these to mine next summer! Also haven’t tried that dove spray but I’ve tried others by dove and love them!